We are back with our annual short-story competition and we invite each and everyone, who knows to wield the pen, and all those who wish to try their hand on writing an exciting story. And as always, there is no entry fee. No age bar. Simple 1000 words of sheer excitement. Type it out in English. No more than 1000 words, and mail it to us before midnight of 15th June. In last competition we had some super contributions from school students too, and we look forward to their participation this time too. We shall have the entries judged by a jury where after we shall announce the winners of this contest at a public function of CLS, with lots of prizes. Here’s our Help to You. The first step of sitting down and writing that first opening sentence is the most difficult part. We are cutting out that agonising wait by giving you the opening montage of the story written by a celebrated fiction writer. Incorporate these lines as the opening lines, and complete the story in 1000 words. Easy! Isn’t it? Get cracking. Last date is 15th June. The Chandigarh Literature festival, under the aegis of Chandigarh Literary Society announces its first ever Essay Contest for school students that shall be an annual feature henceforth. It aims at furthering the goal of CLS to promote literature and creative writing in the region. The dates for this year’s festival are 7th, 8th and 9th November. CLS serves as a network of creative minds, nurturing talent and bringing together writers, publishers, intellectuals, students and scholars. These Essay contests aims at bringing the students of the tri-city to the centerfold of the event and thus encourage the budding writers of the region. The contest shall be open to all the Middle School and High School students of the tricity – Chandigarh, Panchkula and Mohali. There shall be two separate categories for Middle School and High School and there is no fee associated with participation in this contest. TOPICS: Students would need to write an argumentative essay on any one topic from each category. Only one entry per child will be selected. 1. All students should be required to learn about poetry. Submission deadline is OCTOBER 26TH, 2014 and all submissions should be made before 12 MN. See “Essay Contest Rules & Guidelines” section below for full eligibility requirements and guidelines. Essays must be typed or legibly handwritten and may be submitted by e mail tochandigarhliterary@gmail.com on or before October 26, 2014. There is no fee involved. We encourage all students in these two categories to participate. 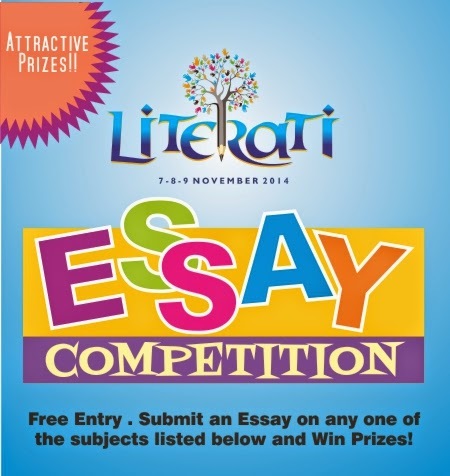 Winners will be announced by November 5th, 2014 on our website and facebook page, and the prizes will be given at the concluding function of Literati 2014 on 9th November at Chandigarh Lake Club. 1. All students must be enrolled in a private or public school of the tricity. There is no cost to enter the contest. 2. Each contestant may submit only one essay. 4. 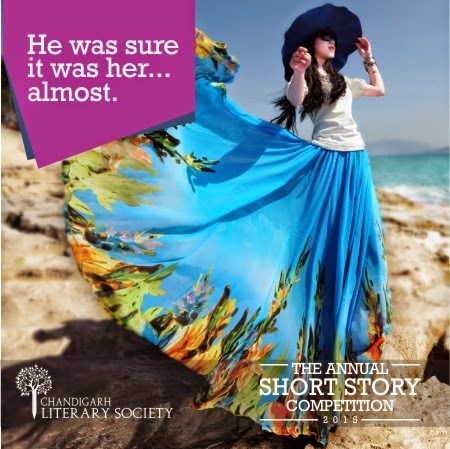 Students must submit essays on or before the contest due date, October 26, 2014. 5. Students who have family members who are a part of the organizing committee or serving as contest judges shall not be eligible to participate in this contest. 6. Essays must be written in English, typed, using MS-Word, Double-spaced and page numbered. 8. Entrant must ensure that his essay reflects his/her own writing and original thinking. It must not infringe on the intellectual-property rights of any third party, should not have been published in any medium and should not have won an award. If an essay is found to be plagiarized, it shall not be judged. 9. Essays will not be returned to students; they become property of CLS. The Society has the right to edit, publish or otherwise duplicate any essay entered into the contest without payment to the author. Appropriate acknowledgment will be given to the writer(s). A panel of qualified judges will evaluate the essays . Scoring criteria will be identical for both, the Middle, and the High School category. The top three entries in each division will be announced on our website and Facebook page. The prizes shall be distributed on the closing ceremony of the festival, that is 9th of November and awardees shall be intimated in advance.